A smiling face with round open eyes, slightly open mouth, eyebrows and a single drop of cold sweat. This emoji is nervous and scared. Exasperated Face. 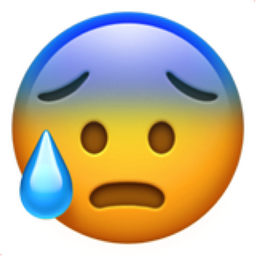 iEmoji old name: Feeling blue, crying, depressed.